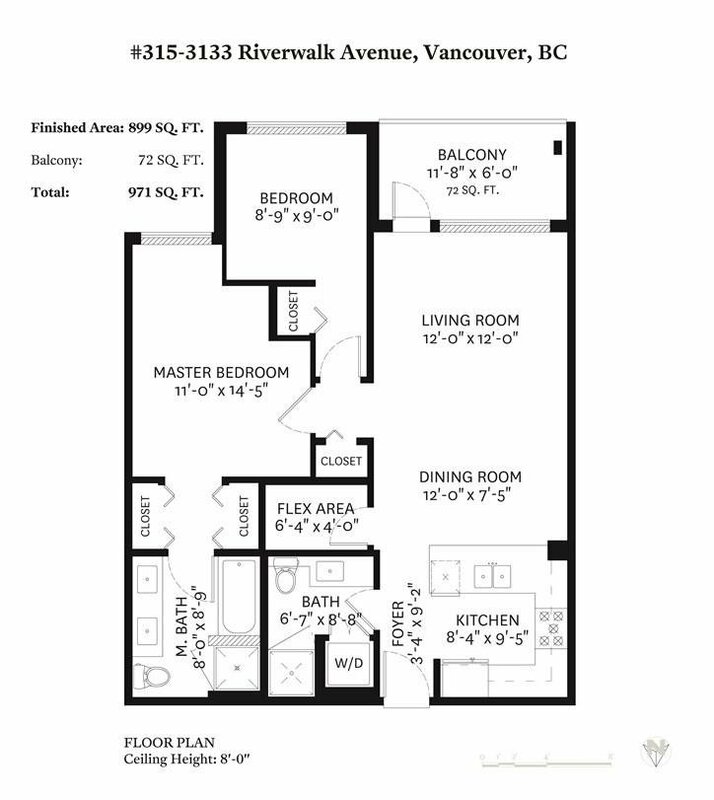 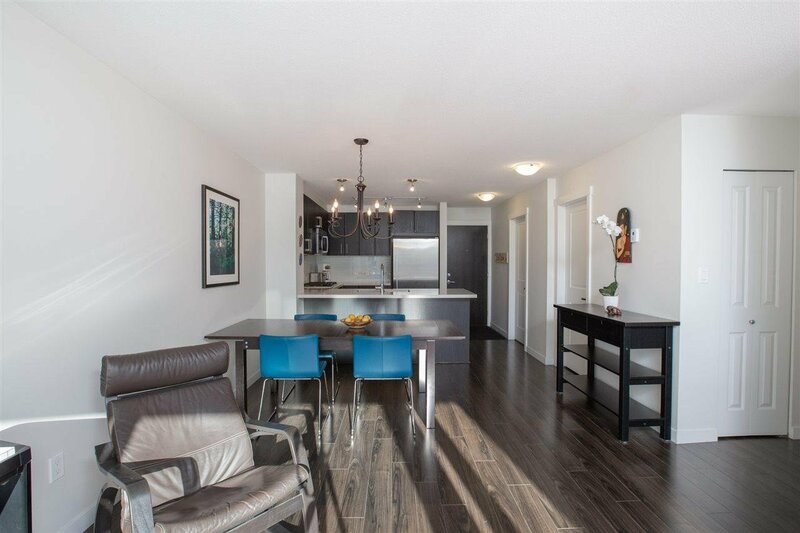 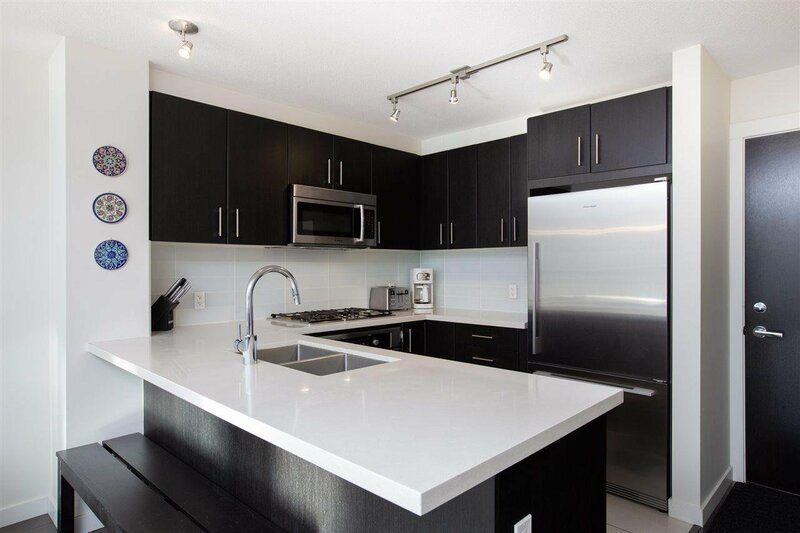 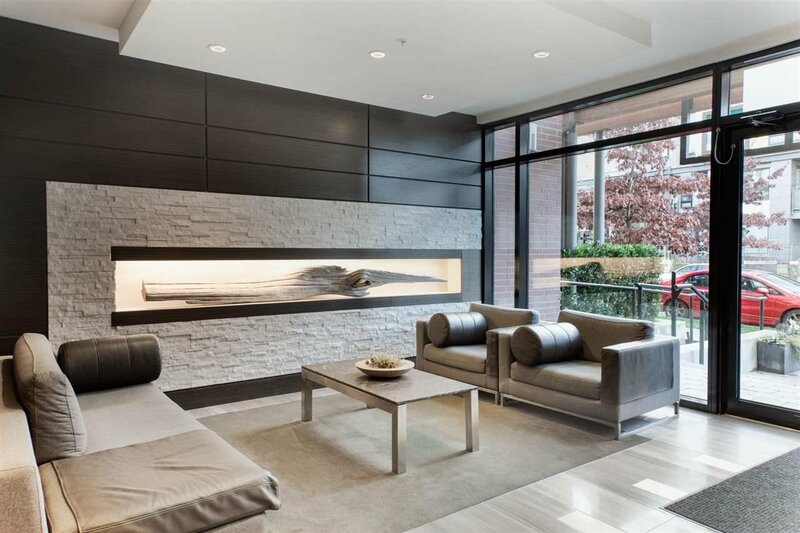 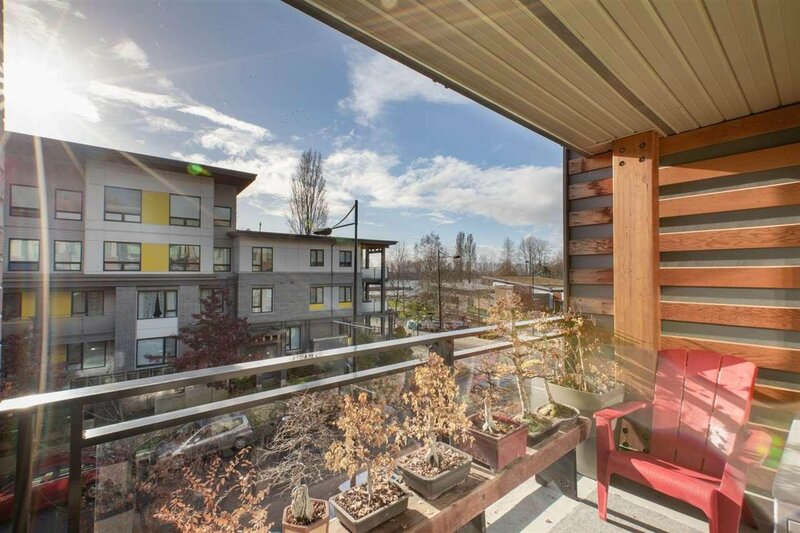 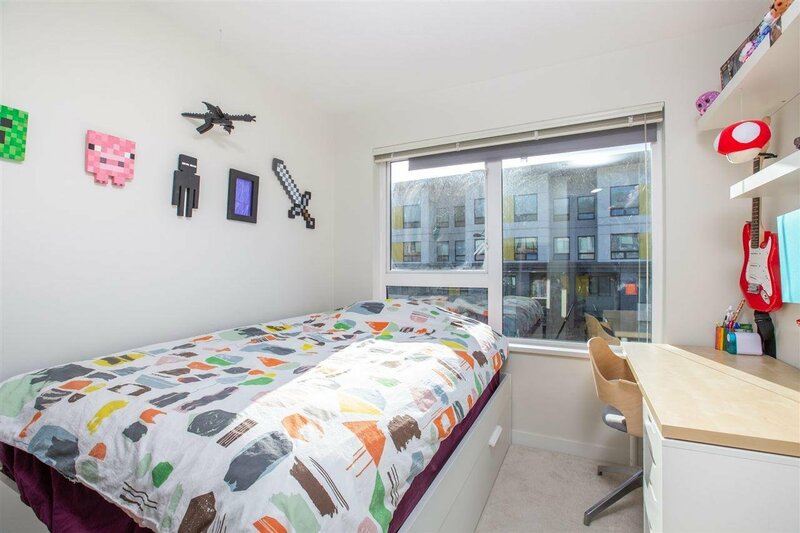 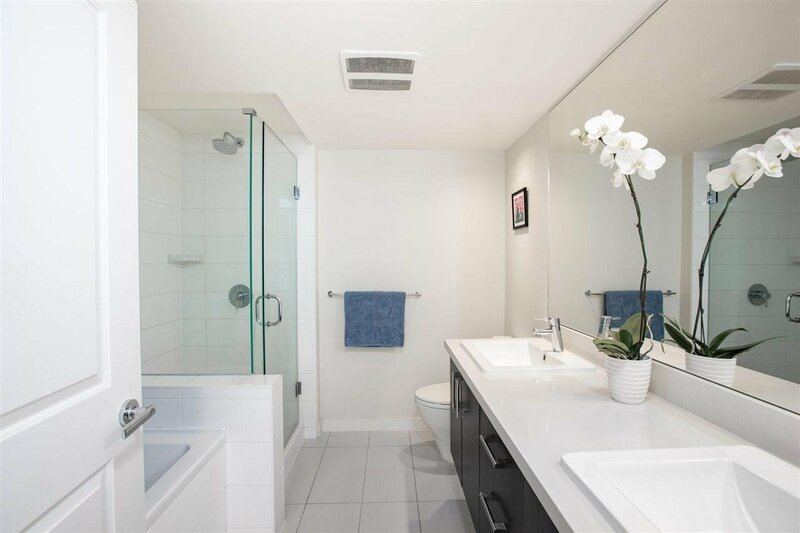 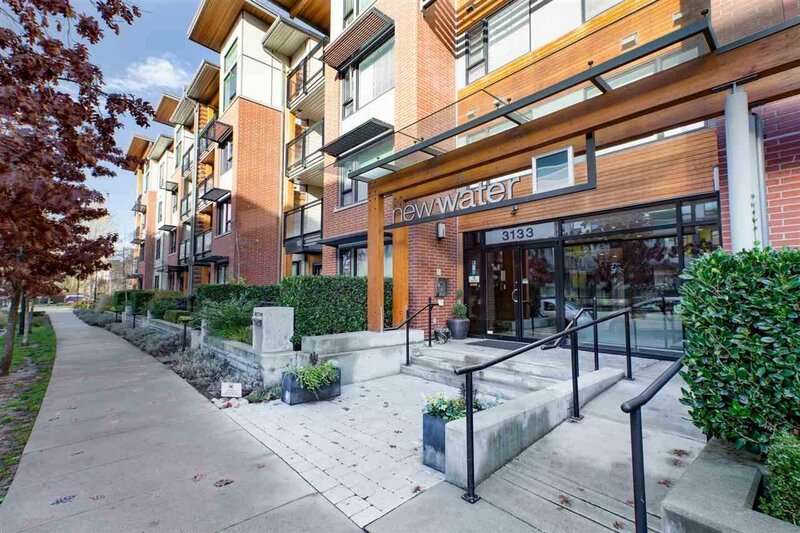 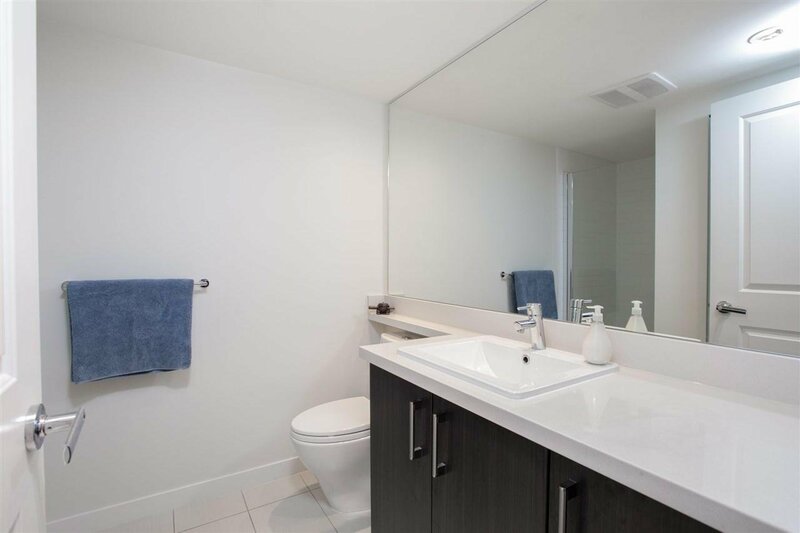 Bright and spacious SOUTH facing subpenthouse at NEW WATER in the River District. 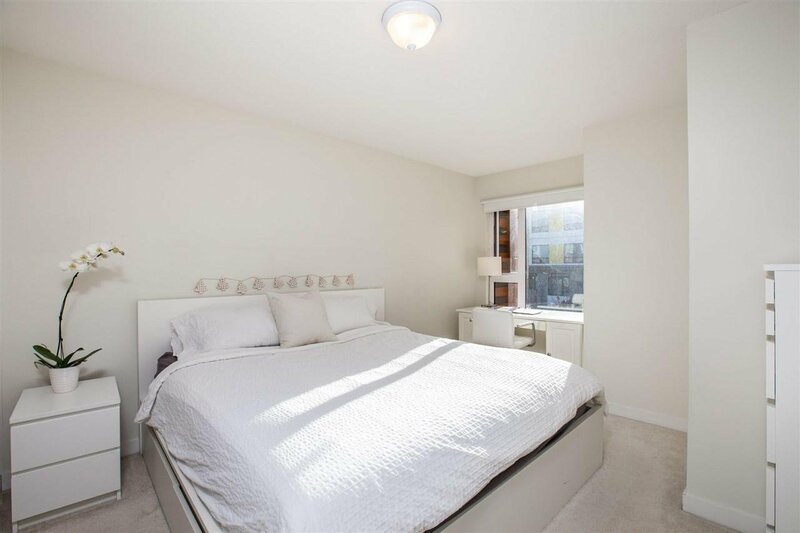 On the quiet side of the building, this sunny and immaculately maintained 899sqft, 2 bedroom, 2 bathroom and flex (storage/office) features a chef's kitchen with S/S appliances, gas range, quartz counters, lots of storage, and in-floor radiant heating throughout, a master that fits a king-sized bed, spa ensuite & a 72sqft balcony with tranquil water views. 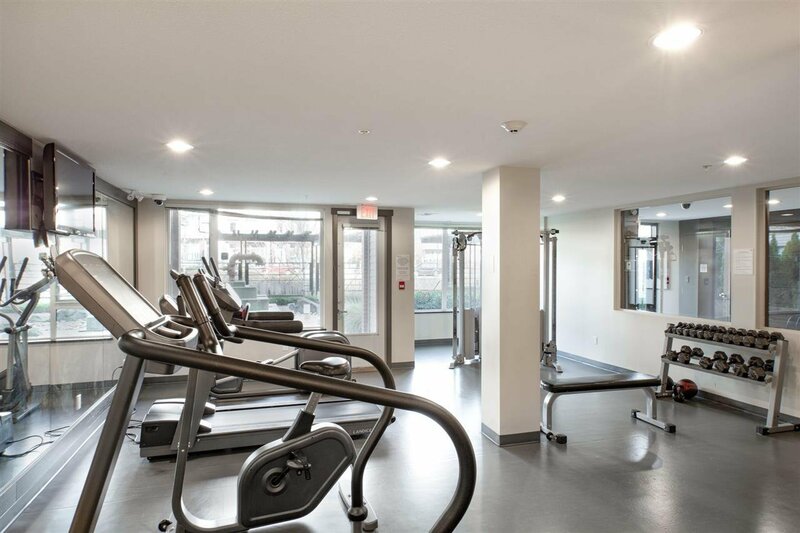 Pro-active strata with gym, playground, party room & on site manager. 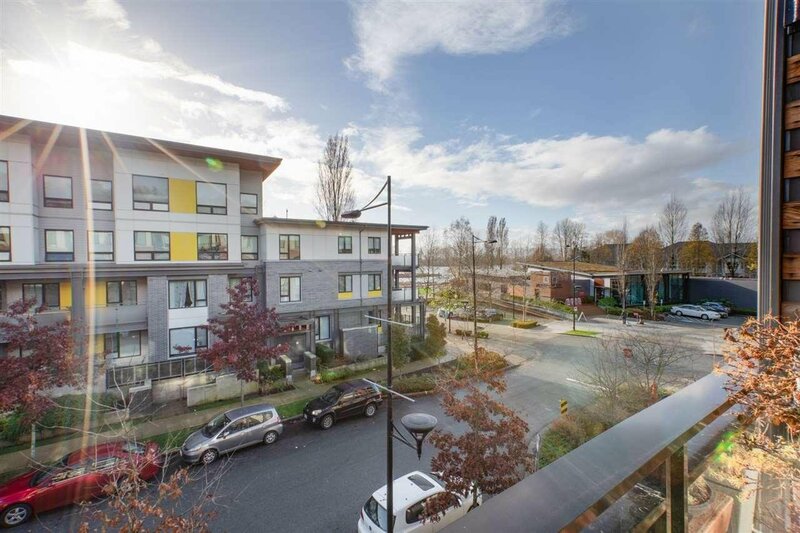 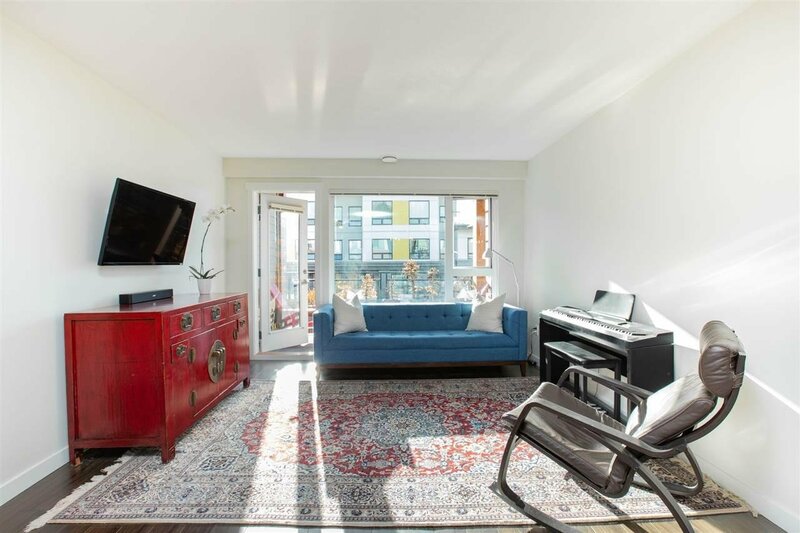 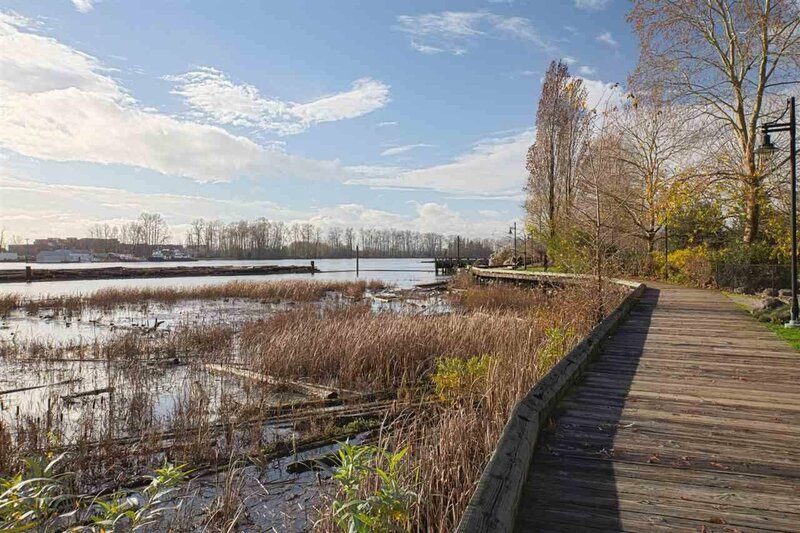 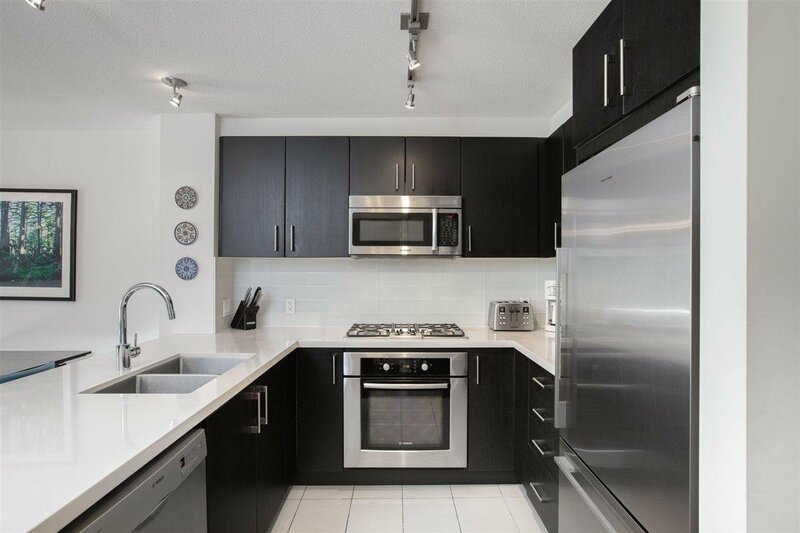 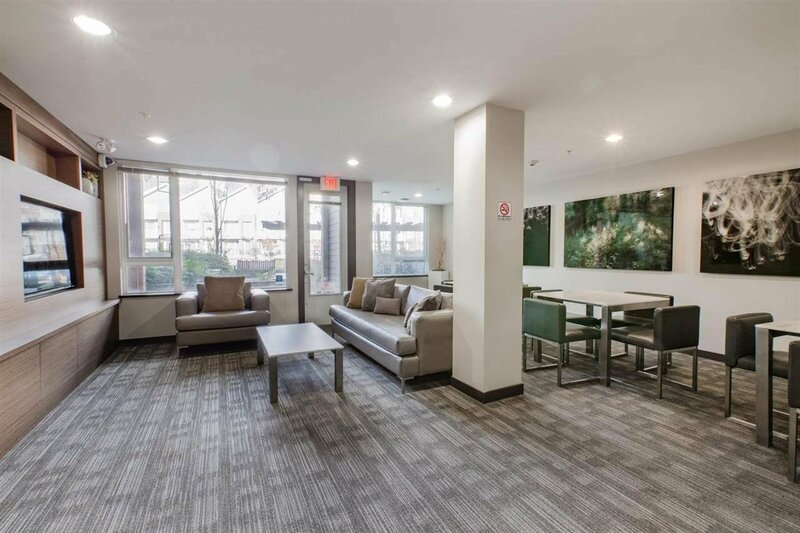 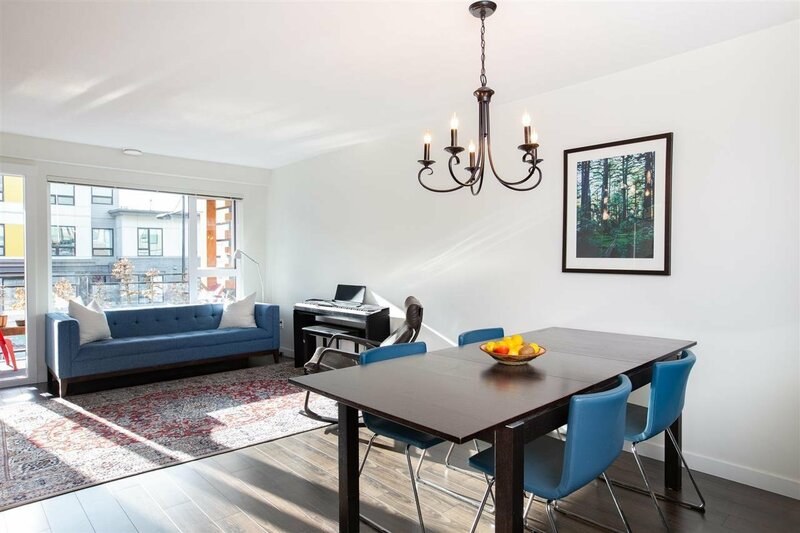 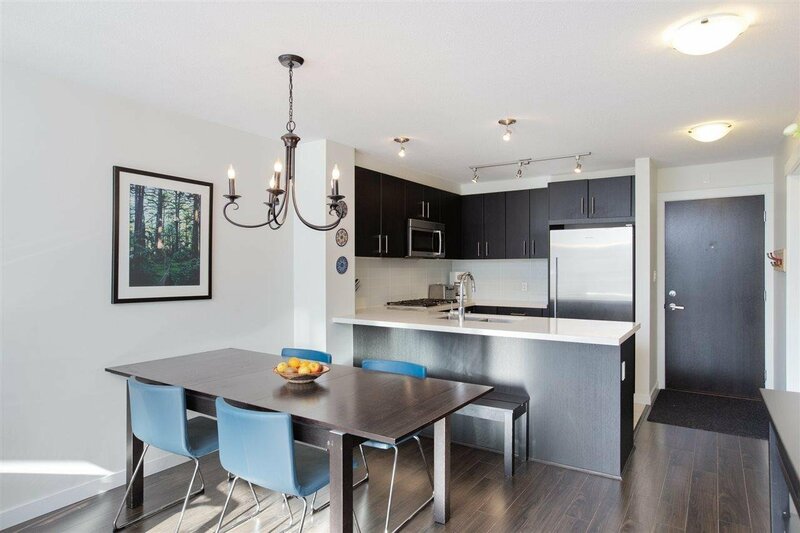 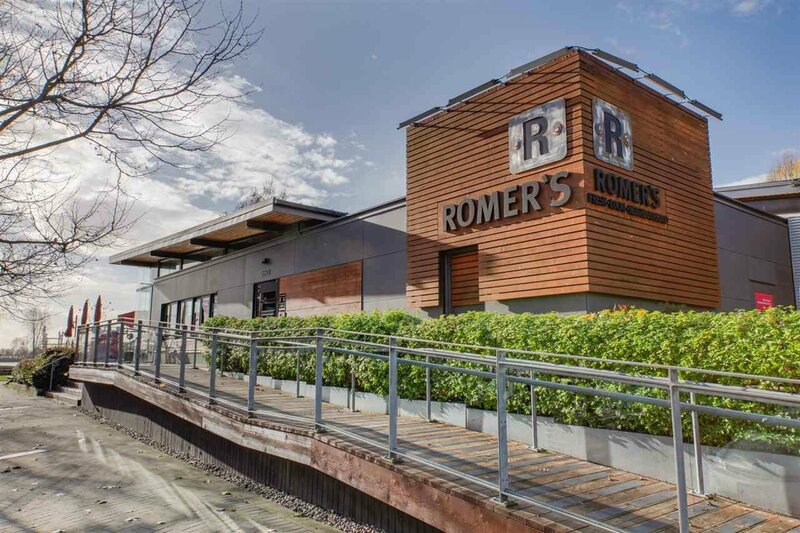 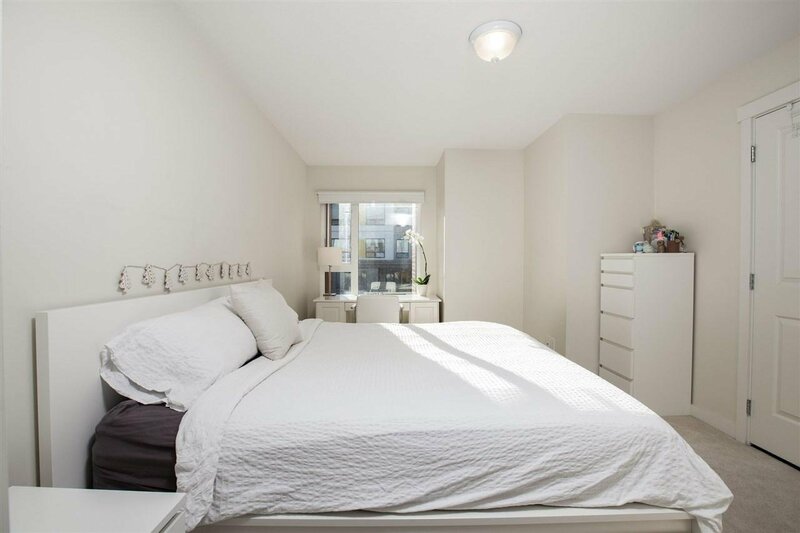 This growing vibrant community is family & pet friendly, w/nearby amenities such as 1.5km of waterfront biking/walking paths, community centre, Romer's Burger Bar, Farmer's Market, Starbucks, banks, Everything Wine, Save on Foods.